Joe Jackson, patriarch of America’s most famous musical clan and father of Michael Jackson, has died, said a family source on Wednesday. Joseph Jackson, a steelworker from Gary, Indiana, who forged a musical dynasty by launching the careers of the Jackson 5, his son Michael Jackson and daughter Janet Jackson, but whose legacy was tarnished when some of his children accused him of exploitation and abusive behavior, died June 27 in Los Angeles. He was 89. The Associated Press, citing a family source, confirmed the death. The cause was reportedly pancreatic cancer. In 1967, Jackson drove his sons to New York in a Volkswagen van to compete in amateur night at the Apollo, the Harlem theater long known as a springboard for emerging talent. Performing versions of tunes by James Brown and other soul artists, the Jackson 5 won first prize. Before long, they were opening for the Temptations and Smokey Robinson and the Miracles and appearing on the nationwide “chitlin’ circuit” before largely black audiences. In 1969 and 1970, the Jackson 5 scored four consecutive No. 1 hits, with “I Want You Back,” “ABC,” “The Love You Save” and “I’ll Be There.” The Volkswagen van was gone, and the brothers were driven in limousines from one television studio to another. As manager, Jackson guided their every move. He resettled the family in California and put his other children on stage, with daughters Maureen (“Rebbie”), La Toya and Janet performing in Las Vegas in the 1970s, along with the family’s youngest son, Randy. 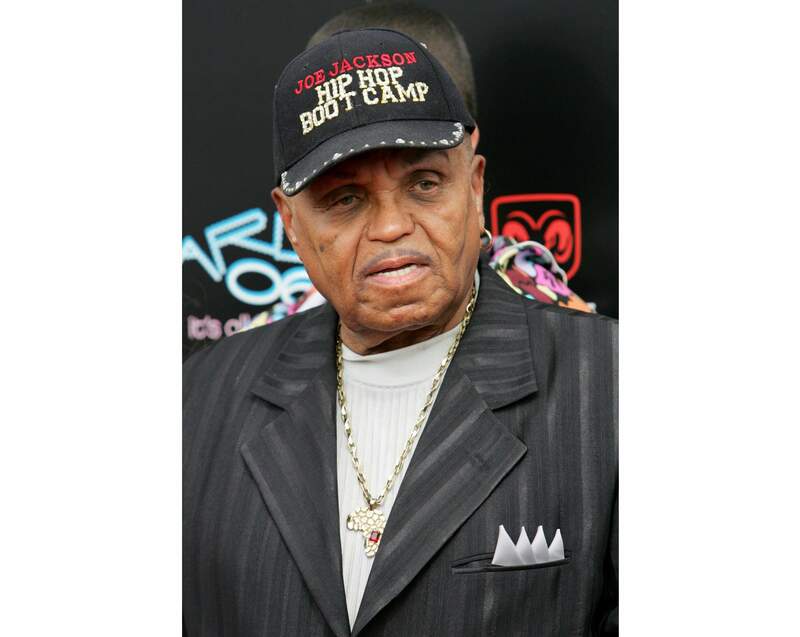 Jackson repeatedly clashed with Gordy over contract terms, and in 1975, he negotiated a deal with Epic Records. The new contract offered greater artistic freedom, boosted the family’s royalties by as much as 500 percent and paid Jackson substantial fees as manager. The first public rift in the family came at this time, when Jermaine Jackson, who was married to Gordy’s daughter, stayed with Motown. The rights to the name “Jackson 5” were also controlled by Motown, which forced the reconstituted family group to be known as the Jacksons. Their new recordings on the Epic label sold well but did not duplicate the early success of the Jackson 5. When Michael Jackson turned 21 in 1979, his contract with his father expired. He promptly fired his father as manager and began to work with Quincy Jones, a onetime jazz arranger and bandleader, who produced Michael’s hit albums of the 1980s, “Off the Wall,” “Thriller” and “Bad.” They sold hundreds of millions of copies and made him a superstar. When the youngest of the nine children, Janet Jackson, severed her working agreement with her father in the 1980s, the first album she produced under a new management team was pointedly called “Control.” Only then did her career take off, making her one of the music world’s biggest stars of the 1990s. Despite the strained family relations, Joseph Jackson remained a forceful presence in his children’s lives. Even after Michael Jackson dismissed him as manager and was becoming the world’s most famous pop star, he continued to live with his parents for several years. He attended Jehovah’s Witnesses meetings with his mother several times a week and sometimes went door to door, seeking converts. He spent millions of dollars supporting his parents and other family members. In 2009, Michael Jackson died at age 50 as a result of a sedative overdose allegedly administered by his doctor, Conrad Murray, who was found guilty of involuntary manslaughter and sentenced to prison. Guardianship of Michael’s three children was assigned to his mother and later to his nephew T.J. Jackson, Tito’s son. In the confusion surrounding Michael Jackson’s death, the fractured family dynamics played out in court. In his will, Michael divided his fortune among his mother, his children and several charities. He left nothing to his father or his siblings. Joseph Walter Jackson was born July 26, 1928, in Fountain Hill, Arkansas. He was 12 when his parents separated, and he followed his father, a schoolteacher, to Oakland, California. After completing high school, he moved to East Chicago, Indiana, where his mother had settled. He was an amateur boxer for a short time and had a brief teenage marriage that was annulled. In 1949, he married Katherine Scruse, whose singing around the house was cited as a crucial influence by her children. Jackson worked as a crane operator at a steel mill in Gary. In later years, Jackson often spoke of building a museum and turning the family home on Jackson Street into a shrine to the Jacksons, along the lines of Elvis Presley’s Graceland. Nothing came of those plans. Jackson’s success in guiding his children’s early careers led to a high-flying life and to several questionable business decisions. In 1988, a court ordered him to pay $3 million to a business partner who had sued him over a real estate venture. He reputedly had affairs with many women, and his wife filed for divorce twice, only to withdraw the papers each time. Katherine Jackson lived in the family home in California, while her husband spent his final years in a 1,000-square-foot condominium in Las Vegas. In 2012, he tried to earn money by selling perfume at a Las Vegas mall, but he had to stop when he could not prove that he had permission to use Michael Jackson’s image on the bottles. When Jackson had a series of strokes in 2014, he noted on his website that only two members of his family – Janet and a granddaughter – came to visit him. During his final illness, he reportedly had a reconciliation with his estranged wife. In addition to Katherine Jackson, survivors include eight children from his marriage; a daughter from a relationship, Joh’Vonnie Jackson; and many grandchildren. In his 1988 memoir, Michael Jackson recalled how, after school each day throughout his childhood, he went directly into rehearsals or recording sessions that lasted deep into the night. He would longingly look out a window at other children playing in a park, imagining a life he never got to have. In 2014, a New York Post reporter asked Joseph Jackson whether he had any regrets about his life or about how hard he had driven his family.